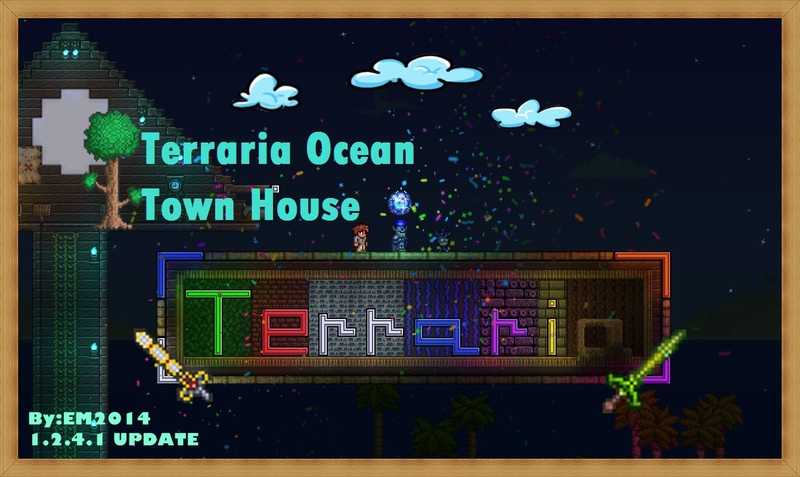 Introducing the Terraria Ocean Town house a new Town live in ocean,with lots of living quarters for NPC'S (All Npc's are included except for Santa claus).There are Available Ores and Chest in Underground.The map has Rooms,Underwater house,PvP,Boss arena,and More! !...Anyway your spawning area is in West Ocean and in East Ocean there are PVp and arena.And I also build a Ship,which the pirate Npc will live.HOPE YOU LIKE IT.! !